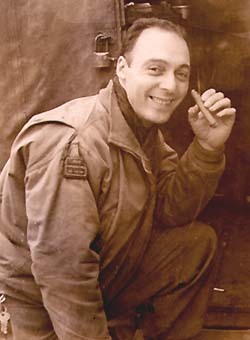 Bill in familiar pose, with his ever present stogie. 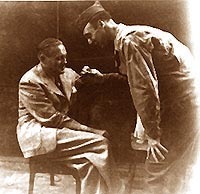 Jack Benny, accepting a cigar from Bill before one of Benny's USO shows. 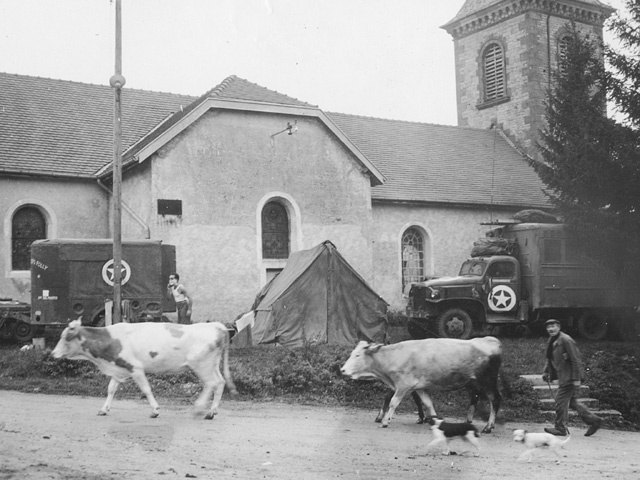 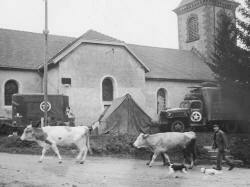 At Villamfroy, the division photographers camp at a church with their lab truck and their trailer named "Fuzzy's Folly". 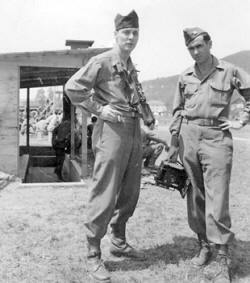 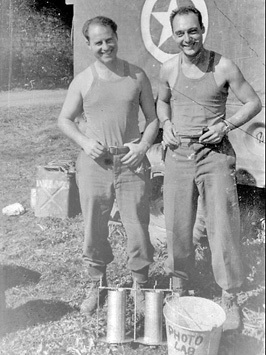 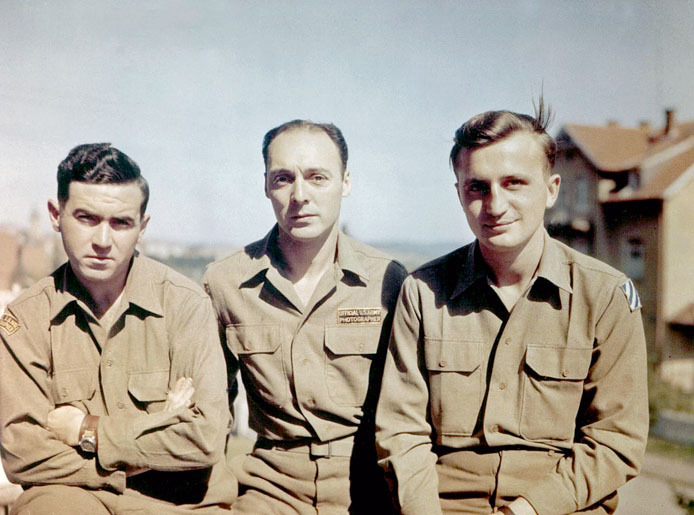 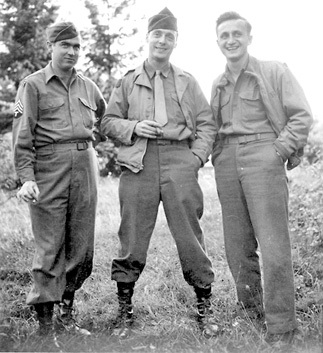 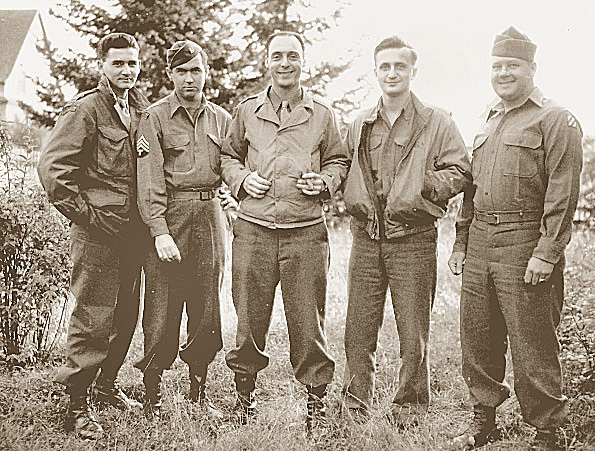 Assigned to Bad Wildungen, Germany in July, 1945, photographers Bill Toomey, Bill Heller and Bobby Seesock pose for a peacetime photo. The Army built a baseball diamond in Salzburg, Austria and photographers Bill Heller and Bill Toomey of the 15th Regiment dropped by. 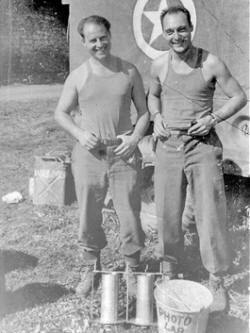 Photographer's John Cole and Bill Heller pose with the tools of their trade on a warm September day in Faucogney, France. 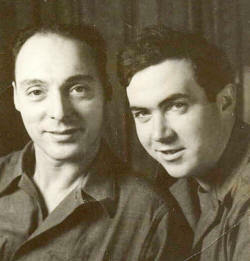 Photo courtesy of Denis Toomey www.dogfacesoldiers.org Two Bills-No Waiting! 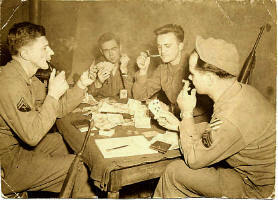 Members of the 3rd Signal Company... in action! 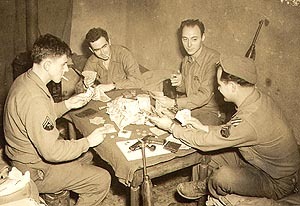 Jack Cole, Bill Heller, Bill Toomey, Bob Seesock. 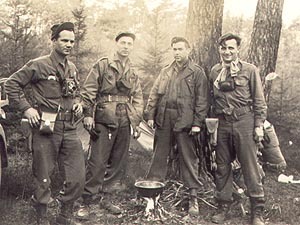 after the 15th Infantry pushed through the Seigfried line. 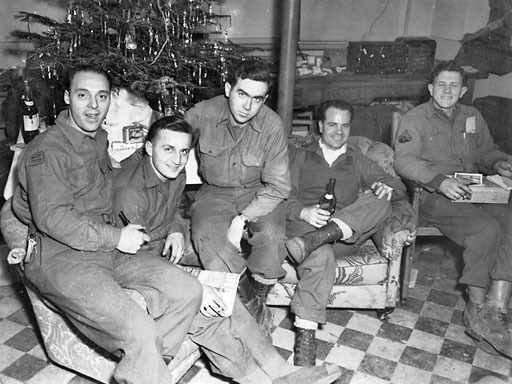 Third Division photographers Bill "Pop" Heller, Bobby Seesock, Bill Toomey, John Cole and Howard Nickelson (l-r) spend Christmas in decent surroundings in Ribeauville. 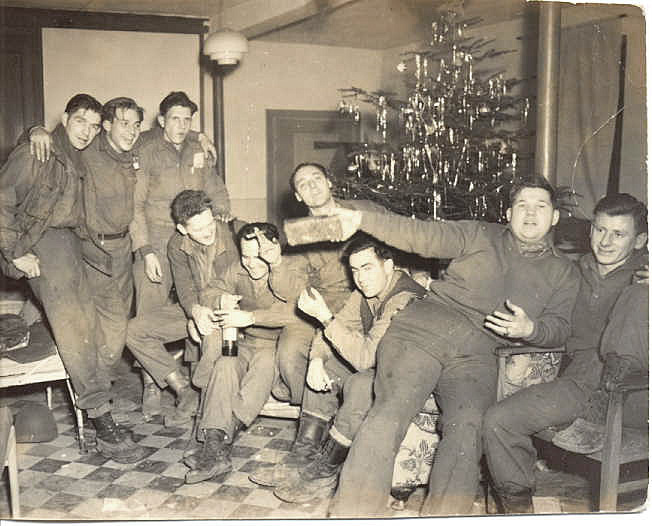 Crowning their Ribeauville tree, Third Division photographers pass Christmas 1944 facing the German army still entrenched in the Colmar Pocket. Arlington Natl Cemetery OP Harry Survivors Association 15th Infantry Regt Association 7th Inf. Thanks to Tricia Joyce, Bill Toomey's daughter, for some of these great photos. 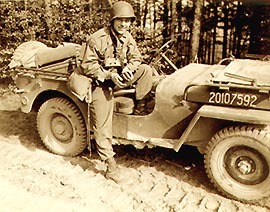 Click on smaller outlined photos to see larger images. 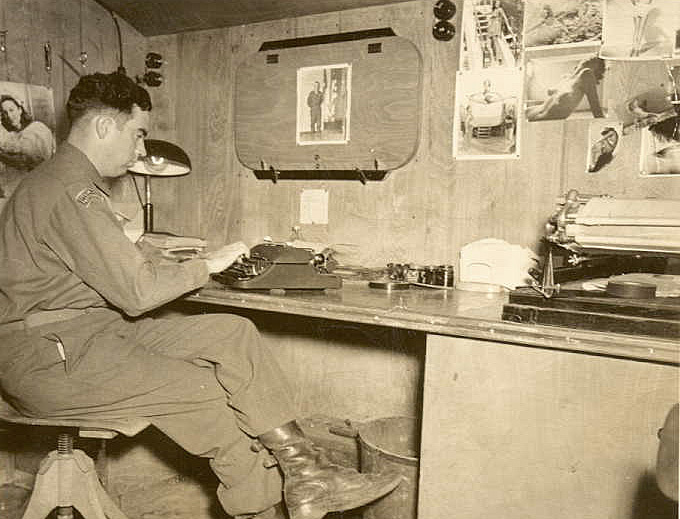 If you enjoy this website, please donate to help defray our costs on the Internet.